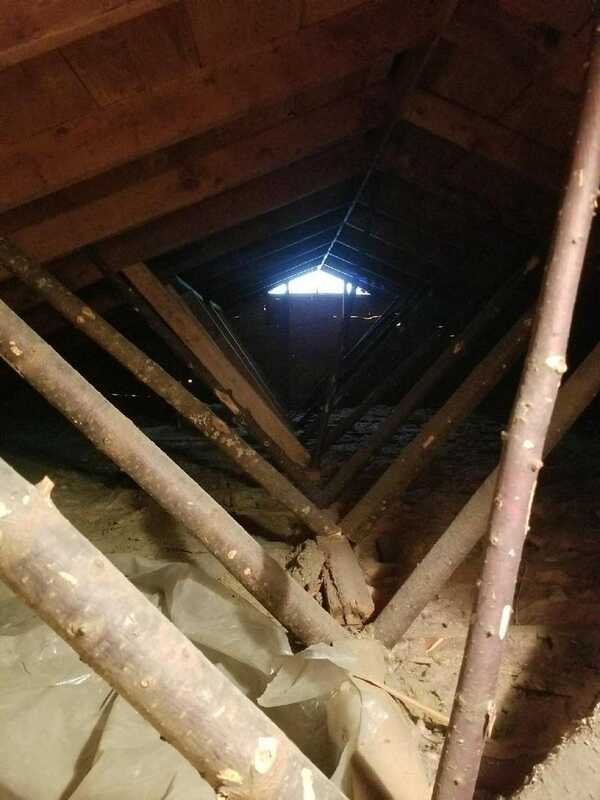 Well, that’s one way to brace a roof. Not the right way mind you, but a way. This place was built in 1956. The tree was added more recently I assume.